Open annually from mid-April through November, the Tateyama Kurobe Alpine Route draws huge numbers of visitors from around the world, all eager to navigate the majestic and wild beauty of Japan’s Northern Alps. Often referred to as the “Roof of Japan”, the Alpine Route is renowned for the many highlights interspersed throughout each leg of the journey. Being autumn, enjoy the fall colors, peaking at the top, contrasting with a greener forest near the base. Despite its rugged terrain the Alpine Route is also quite friendly to all ages and activity levels, due to the various means of transportation which make traversing the Alps easier. The list of vehicles used to make the journey through the mountains includes trains, buses, a ropeway, cable cars, and even a trolley bus (the only one of its kind in Japan!). But there is more, much more as we have also included two nights in Tokyo at the beginning and returning for two days at the end. It is truly a perfectly blended tour, the very best of country and city. We have also included visits to the Ishii Miso Factory, Daio Wasabi Farm, Itchiku Kubota Art Museum, Higashi Chayagai District, and Narusawa Ice Cave, a nationally designated Natural Monument. What’s more you ask? How about an onsen stay, bullet train ride, 3 hands-on experiences, glass paper weight making, soba making and grape picking. 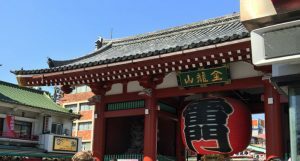 In Tokyo, the must do’s, Tsukiji and Ameyoko for omiyage shopping as well as Ueno Zoo to see the Pandas and a complete free day to finish up your shopping. Round trip air via Hawaiian Airlines from Honolulu. Seven nights at the Sunshine City Prince Hotel. In flight meals, breakfast daily at your hotel, 5 lunches and 2 dinners. English speaking guide and Panda Travel ® representative throughout your journey. Reserve with a $200 per person non refundable deposit. Final payment due by July 26, 2019. Package is non-refundable after this date. Gratuities for the local Japanese English speaking guide. Additional baggage fee charges from the airlines. A minimum of 16 participants required for tour to operate. A valid passport is required of all U.S. citizens & must be valid at least 6 months from the return tour date. Non-U.S. passport holders need to check with the Japanese Consulate to see if a visa is required. Land tour cost is based on current currency conversion rates. Should there be any major changes that would affect the cost, we will advise and you will have the option to cancel with full refund or pay the difference. Land Tour Operator is Nippon Travel Agency. Starting from $3,395 per person triple occupancy. Starting from $3,495 per person double occupancy. Starting from $3,995 single occupancy. 09/29/19 – Depart Honolulu on Hawaiian Airlines flight 823 at 4:05 pm and arrives in Narita at 7:30 pm, 9/30. 10/067/19 – Depart Haneda on Hawaiian Airlines flight 856 at 11:55 pm and arrive Honolulu at 12:35 pm. (same day). Hokkaido Lavender Tour 2019 #1-GUARANTEED! July 7-15, 2019. The panorama of Hokkaido’s summer scenery is about to unfold. Hokkaido Lavender Tour 2019 #2-SOLD OUT! Sapporo Summer Fest and Otaru Tide Festival Tour 2019-GUARANTEED!